Global Music Rights is claiming YouTube doesn't have rights to 20,000 songs. Stop the music - Pharrell Williams is not Happy. 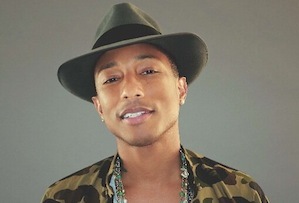 Global Music Rights, a group representing 46 artists including Pharrell, John Lennon, Bruno Mars and Megadeth (yup...), is claiming YouTube doesn’t have the rights to some 20,000 songs and has demanded it taken them down. ‘Each broadcast [constitutes] a willful copyright infringement,’ GMR’s lawyer wrote in a stern letter to the video website on Monday, according to the Wall Street Journal. But YouTube’s owner Google said it had already sorted out deals with all relevant music labels and licensing groups ahead of the launch of its subscription streaming service YouTube Music Key. GMR was the brainchild of music mogul Irving Azoff, who has managed everyone from Christina Aguilera to Fleetwood Mac. It was set up last year with the aim of getting more money for artists from the panopoly of streaming services online, but out of frustration with YouTube in particular. Randy Grimmett, who runs GMR with Azoff, told the WSJ it was in talks with most other online music players, including Pandora and SoundCloud, on deals that would see musicians getting more dollar. YouTube was the only major one that ‘hasn’t reached out to us’, he said. He didn't mention Beats, though, the streamer Apple bought for $3bn (£1.9bn) earlier this year (Apple is reportedly going to be bundling subscriptions onto iPhones and iPads through an iOS software update). It’s not clear whether the dispute will end up in court, although the music is probably going nowhere for now. But it’s still a potential setback for YouTube, which finally unveiled Music Key last week after settling a bust-up with thousands indie labels that saw it threaten to pull music by artists including Adele and Arctic Monkeys from the site. YouTube, with its 1 billion monthly users watching and uploading all manner of unauthorised videos, is too big a platform for most musicians to ignore, despite their grumblings about getting paid. But with Taylor Swift pulling her entire back catalogue off Spotify two weeks ago, it looks like the music industry is rediscovering its muscle and flexing it. It can’t halt the march of progress, but it looks like it could get more money as it gets in step.